Water damage is never fun to deal with. It can take weeks or even months to notice, but by the time you do, it’s usually too late. If not properly maintained, your home’s air conditioning unit also has the potential to cause water damage to your home. Under normal circumstances, you’re A/C should never leak water into your home, but that doesn’t mean that it can’t happen. By neglecting to take proper care of your air conditioner, you’re leaving your home vulnerable. 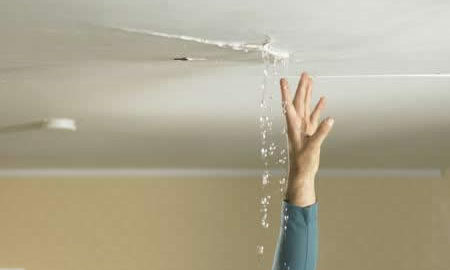 Continue reading to discover some of the most common causes of the leakage, how to prevent A/C water damage to your home, and whether or not your insurance will cover the repairs. Look for moisture in the condensation line, and while the AC is running, make sure to check that the line is flowing properly. You should see the A/C unit dripping water only via the condensation line. Every 3 to 6 months, clean your condensation line to prevent any blockages and to remove debris. Change the filter frequently. This will prevent it from clogging and causing ice to build up within the A/C system. Refrigerant is what keeps the air coming from the A/C cool. If refrigerant is low, the A/C won’t function properly and will begin to leak water into your home. Does insurance cover air conditioner water damage? Whether or not you are covered all depends on the reason for the water damage. If your air conditioner water damage was deemed accidental, then your insurance policy will likely cover the costs directly related to it. However, if you have mold damage in addition to water damage you might not be so lucky. Mold damage is generally not covered by insurance because it stems from neglect on the homeowner’s part. In the case of mold, you will need to work closely with your insurance agent to determine what is and isn’t covered.